Its that time of year again and you know what that means, PRESENTS!!! YAY!! Today I am going to guide you all on what to get the beauty obsessed person in your life this holiday season. 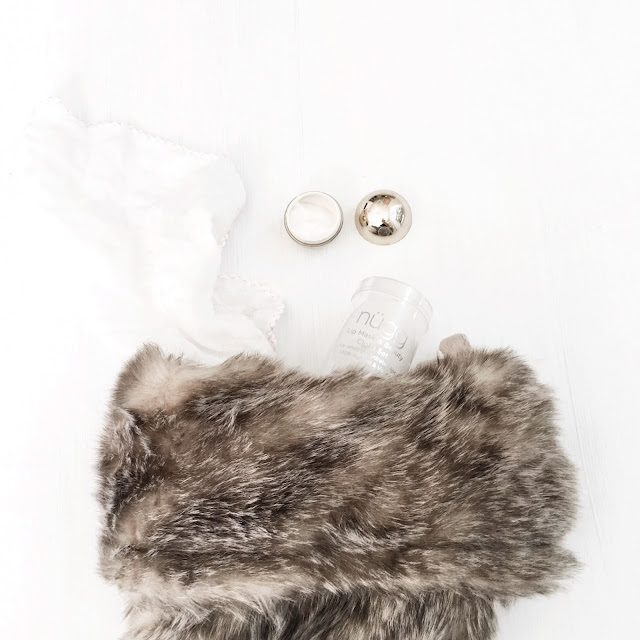 First we start off with stocking stuffers & if you guys like these kind of posts let me know so I can start a holiday gifting series to help give you some inspo this December. Also if you have a face mask loving man in your life be sure to pick up a few of the deep pore cleansing peel off mask, as they are made with spearmint and dead sea salt to help really detox and cleanse the skin! Plus they smell like heaven! This range of masks is also so awesome because they are universal and all do so many different things! Weather you want to detox the skin, remove dirt and impurities, exfoliate, add hydration, brighten, or cleanse there is a mask for you. Plus at only a dollar a piece you can buy as many as you want and try / gift them all! The perfect stocking filler, in my eyes! For the Instagram obsessed trend setter! 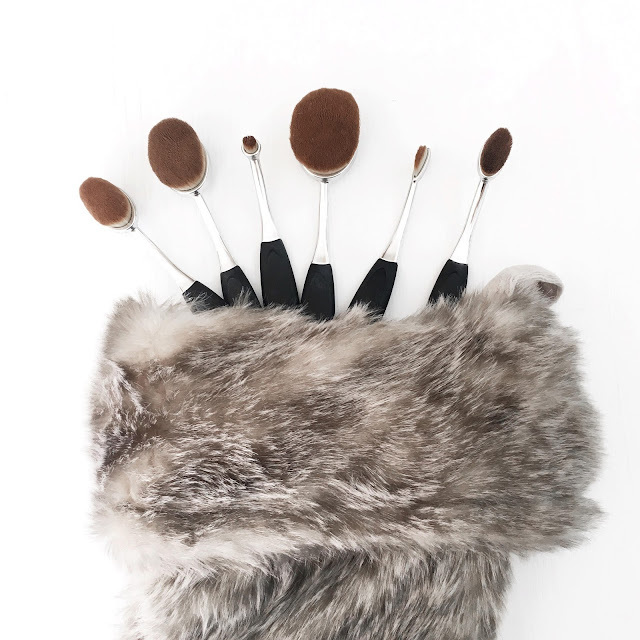 These "Artist" Oval brushes were one of the most popular trends for 2016 & I guarantee the makeup lover in your life will be thanking you for these! The best oval brushes I have tried come from no other than Crystal Vanity! Now while one of there stunning makeup vanities wont fit into your stocking ( but come on every beauty lover would die to have a glamorous Crystal Vanity under there tree * cough cough * hint hint ) these are a little more stocking friendly. They come in a set of 10 & while I have the silver / black set they also have stunning gold & rose gold shades to choose from. Now we've already talked about face masks, but how about topping off the stocking with a little lip mask! I have absolutely fallen in love with this little lip mask from Nugg Beauty over the past month, and every time I use it I swear it screams Christmas! Maybe its the fact that it sort of looks like a mini gold ornament or the fact that it smells sort of like a candy cane, but what ever the case this is a perfect little guy to throw in your stocking. It also comes with a little towel to wipe off the lip mask after you use it. You can pick up one of these minis at Target! Pick up one here at Target.com! For the number four spot I clearly couldn't choose just one! So I chose four! Get it four for the number for spot? Ok ya I'll stop. Anyways.. I wanted to share a few of my favorite beautiful packaged products that really have that "wow" factor, when they get opened up! The first one is the Lucie + Pompette ''Creme De Paris'' Lip crayons. I. Am. In. Love. With. These. Seriously so much so that I had to talk about them, because wow. Not only is the actual product inside amazing, but this packaging though??!?!? 😍 SO CUTE! They have this little scene of Paris printed right on the tube as well as coming in an uber cute baby pink box with the little Lucie + Pompette logo on the front. I love these little lip crayons and they are definitely a lip lovers dream! They come in six shades, three being demi - matte finishes and three in matte finishes. Speaking of lip colors, this wouldn't be the best packaging catergory with out talking about Jouer cosmetics. I just discovered them this year & yet I already think they are my favorite brand of 2016. I mean the colors / formulas / packaging / and concepts have really really caught my attention this year and I cant stop using there products!! 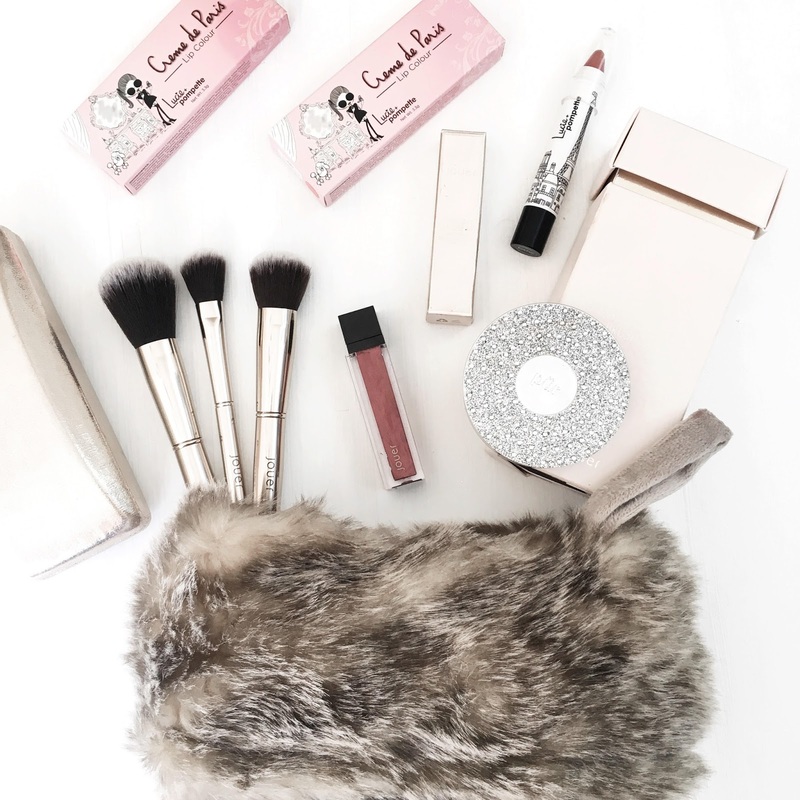 As far as stocking stuffers go, I picked the iconic Lip Cremes and this super super cute golden mini brush set. My favorite holiday lip creme from them at the moment is below and is called "Bronze Rose." It is a metallic deep rose lip creme that seriously screams holiday glam. As for the brush set, It comes with three little mini gold brushes and a glittery gold heavy duty carrying case, perfect for throwing in your purse for touch ups. Last but not least is this STUNNING silver powder compact from PUR Cosmetics. I cannot stress to you how beautiful this compact is and even if you were to just use it as a mirror, it would be worth every penny. Like its that pretty. But if your like me and cant get enough of your makeup products, this limited addition compact is filled with PUR's amazing pressed powder. It gives great coverage and leaves the skin looking velvety matte. Plus it makes the best glitzy stocking stuffer ever. Since we were on the topic of PUR Cosmetics already, I figured that I would add in these amazing mini palette's perfect for stuffing in stockings! These two babies right here are such great deals & while they may be "mini" they certainly feel just as amazing as full sized palette's! My best idea is for you guys to make this a little combo gift so the lucky gift receiver gets not only an eye shadow palette but also a mini highlighting palette! These two both contain stunning highlighter shades, and amazing eyeshadows as well as two mini gifts inside. 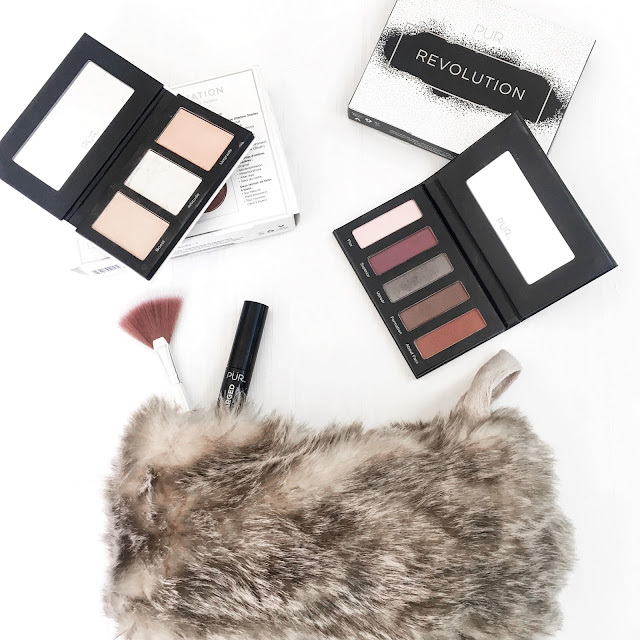 If you get the ''Revolution'' Palette you get a free mini 'Fully Charged' mascara and if you buy the ''Elevation" highlighter Palette you get a free mini fan brush! Now last but certainly not least is, lip kits. 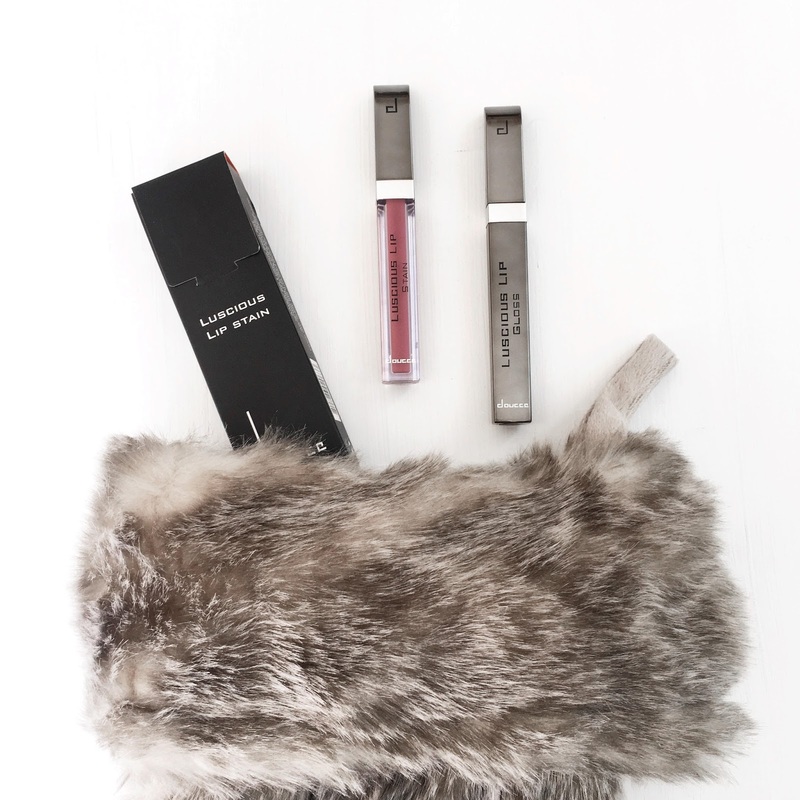 More specifically in this case the Luscious Lip Stain kit from Doucee. I specifically chose this one out of all the other lip "kit" type of products because this product is so so universal! So if the lipstick lover in your life maybe doesn't love matte lippies well congrats because this one can be worn in three ways making it perfect for everyone! The first way you could wear this guy is just like a normal liquid lipstick. These dry to be super velvety on the lips and light weight while still looking super pigmented and staying all day. But say your not a fan of matte dry lips. Well your in luck because the Luscious lip gloss is one of the best clear glosses on the market. Apply it heavy like a normal gloss, and your lips will literally look like glass. Seriously stunning. But now say your somewhere in the middle. You maybe don't love dry matte lips, but also don't like heavy gloss.. well girl I got you covered. Remove most of the gloss from the wand and do super light layer of the gloss to your bottom lip. Message it all over your lips to change the constancy to a creme! Viola! One product, three finishes, and a perfect fit to slip into a stocking.